So at the beginning of the year I tasked myself with posting two blog posts per week with an eye to evaluate my progress mid-year and hopefully increase my posting frequency. Yeah, I’m not there yet. But I refuse to give up no matter how tired and lazy I become. One tool I use, although not enough, is Evernote. I love that I can use it across platforms. I’m not sure anyone has fully tapped its versatility. As soon as I post this blog I’m going to open my goals that I already set up in Evernote, evaluate where I am on each one, whether I want to keep each goal or not, and tweak the timetables on the ones I’m keeping. And maybe add one or two. 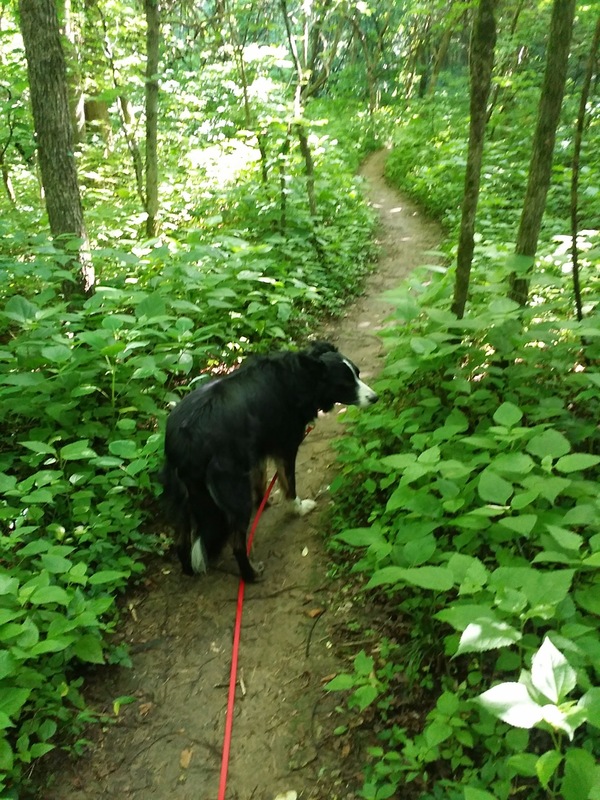 In the spirit of Earth Day, here’s a picture of my border collie, Jack, on a trail in Cane Ridge Park. I love Evernote! Use it extensively in my drafting & design business. Wrote a post about it today actually. http://www.draftinghub.com/how-i-use-evernote-in-my-drafting-firm/ Love your blog by the way! I’ve heard good things about it as well! I have trouble making myself carve out time to do things like that… I hope you’ll keep us posted on your progress! And trust me – time management and motivation are my two biggest struggles. It’s sometimes easier than others, but I think we all find ourselves stuck in a certain burnout mode from time to time. I have yet to try out Evernote but I’ve heard nothing but great things about it.